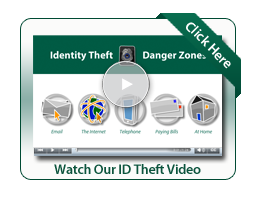 Identity theft is America’s fastest growing crime. In 2006, more than 9.9 million Americans were victims of identity theft, a crime that cost them roughly $5 billion. 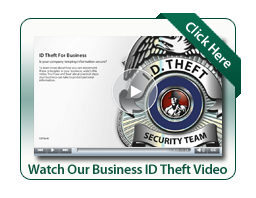 The number of ID theft victims and their total losses are probably much higher. It’s hard to pin down, because law enforcement agencies may classify ID theft differently—it can involve credit card fraud, Internet fraud, or mail theft, among other crimes. Identity theft occurs when someone illegally obtains your personal information - such as your Social Security number, bank account number, or other identification - and uses it repeatedly to open new accounts or initiate transactions in your name. For example, someone might do a combination of the following: open new credit cards, open new bank accounts, forge checks, and even apply for loans using your name and personal information. This can cause financial loss and damage your credit, which can lead to a lengthy resolution process. Keep in mind however, that even if you think your security has been compromised, it does not automatically mean that you are a victim of identity theft. It might be an incorrect entry or an isolated incident of theft from your C&F Finance account that is quickly resolved by calling C&F Finance at 1-855-602-2001. Identity theft is portrayed as a high-tech crime affecting only those people who shop, communicate, or do business online. However, while thieves can obtain personal information via online methods, the majority of identity theft occurs offline. Stealing wallets and purses, intercepting or rerouting your mail, and rummaging through your garbage are some of the common tactics that thieves can use to obtain personal information. The good news is that the more information you have about identity theft the better your defense. Do not open or respond to online solicitations for personal information. C&F Finance will never send emails requiring customers to send personal information via email or pop-up windows. Make photocopies of all the information you carry daily and store them in a secure location like a safety deposit box. Checking your account online can help you regularly monitor your account activity and more quickly detect any fraudulent transactions.